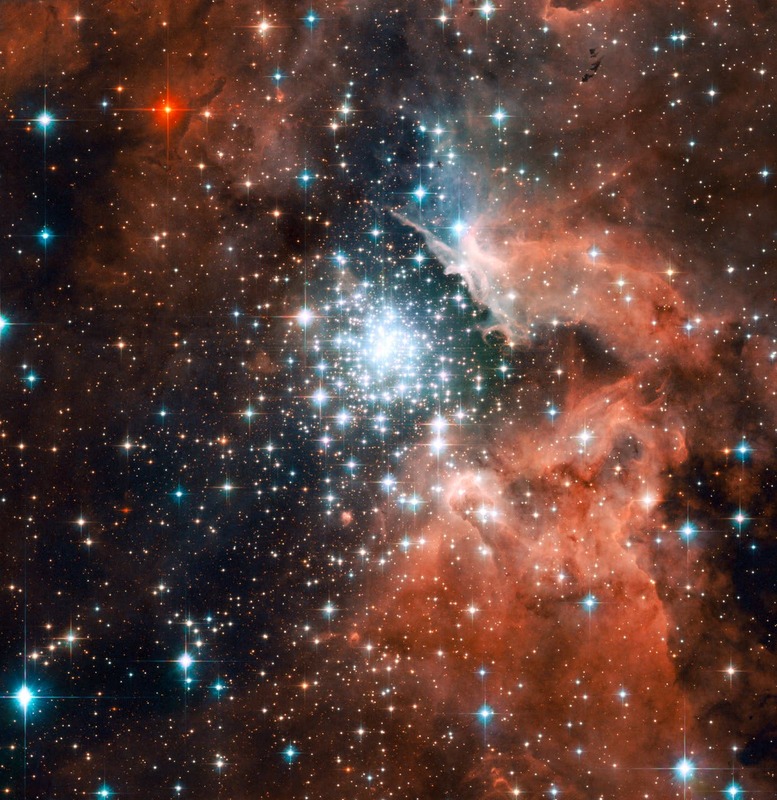 A group of nine unusual stars spotted by the Hubble Space Telescope in a young cluster above called NGC 3603 that are too cool to be ordinary stars, with analysis of their infrared light emissions indicating surface temperatures between 1700 and 2200 kelvin making them more like brown dwarfs, objects intermediate in mass between planets and fully fledged stars. The catch is that brown dwarfs are dim objects that should be too faint to detect at the cluster's 20,000 light years from Earth. "We were quite puzzled," says Loredana Spezzi at the European Space Agency in Noordwijk, the Netherlands. But Spezzi and her colleagues think the enigmatic objects are part of stellar systems that spawned planets, then, devoured them. Some planets are thought to spiral in towards their stars. That would explain why so many alien worlds have been found in star-hugging orbits. The team says that some may spiral so close that the star "eats" them – the star's gravity rips the planet apart and captures its debris. This captured debris would form a temporary outer atmosphere for the star, which would be cooler than the star's normal light-emitting surface, explaining the apparent low temperatures of the nine mysterious objects. These bloated stars, or "bloatars", would also be bigger and brighter than brown dwarfs, explaining how they could be seen at such a great distance, the team says in a paper to appear in The Astrophysical Journal (arxiv.org/1101.4521).